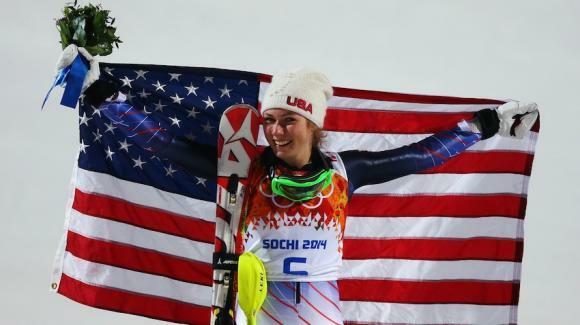 Eagle-Vail’s Mikaela Shiffrin, 18, became the youngest woman to ever win Olympic slalom gold in Sochi (Getty Images/Alexander Hassenstein). At least 69 different countries will compete at the 2015 Alpine World Ski Championships at Vail and Beaver Creek Feb. 2-15, according to organizers, and that number is expected to climb to 71 when two other countries that have entered the competition are confirmed. The traditional alpine skiing powers such as Austria, Switzerland and the United States are all sending teams, but so are nations such as the Cayman Islands, India, the Netherlands and Timor-Leste. The 2013 World Championships in Schladming, Austria, featured a total of 70 nations represented and, with confirmations and possible additional entries, Vail and Beaver Creek will surpass that number. The final opportunity for a nation to enter a team will come in mid-January of 2015. The Vail Valley’s first World Championships in 1989 featured athletes from 42 nations, while the 1999 World Championships showcased competitors from 55 different countries. Other non-traditional alpine skiing nations currently entered include Azerbaijan, Brazil, Greece, Haiti, Israel, Jamaica, South Africa and Chinese-Taipei. Former U.S. Ski Team member and Vail resident Sarah Schleper will be attempting to qualify and compete for Mexico. Several Colorado athletes are expected to be among the medal favorites for the United States, including Vail’s Lindsey Vonn, who is making another comeback attempt after knee surgery last year, and Eagle-Vail’s Mikaela Shiffrin, the 2014 Olympic slalom champion who’s coming off a disappointing 11th-place finish in the opening World Cup slalom over the weekend in Levi, Finland. The women compete in a giant slalom and slalom in Aspen Nov. 29-30. Vonn is not expected to race there, instead focusing on speed events in early December in Lake Louise, where she’s won an astounding 14 times. That same weekend, Dec. 5-7, the best male racers in the world will compete at the annual Birds of Prey World Cup at Beaver Creek. 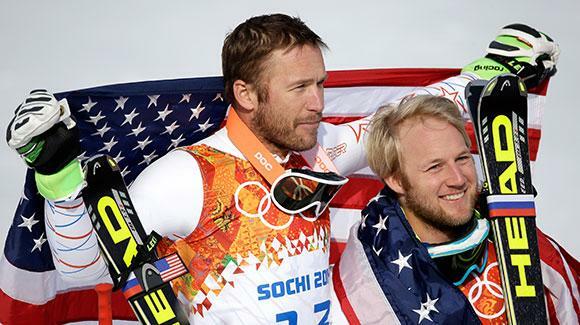 According to Ski Racing Magazine, American great Bode Miller, who had back surgery on Monday, will not compete at Beaver Creek next month — a venue where he’s won three times. However, Miller expects to rehab and be back on skis in time for the World Championships in February. Scheduled for February 2–15 of 2015, the FIS Alpine World Ski Championships in Vail and Beaver Creek are expected to draw an estimated 750 million worldwide television viewers and an onsite media and broadcast entourage of approximately 1,500 members. For additional information on the 2015 FIS Alpine World Ski Championships in Vail and Beaver Creek, go to www.vailbeavercreek2015.com.